In keeping with today’s trends towards making our mobile phones bigger and bigger, Huawei recently introduced their Ascend Mate into the Australian marketplace. 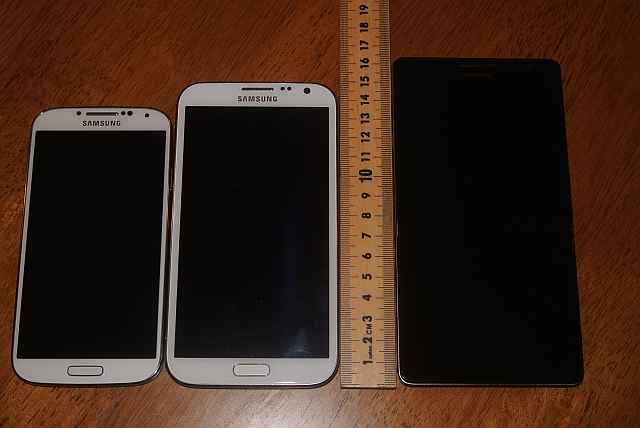 This is large phone – that’s the Samsung Galaxy Note 2 and the Samsung Galaxy S4 with it in the photo – and as you can see, this is not tiny. Being a big phone carries with it a number of advantages, and especially so for those of us whose eyesight is no longer what it used to be. The extra screen real estate means that details and images can be and are displayed in larger sizes on the larger screen. This, in turn, can make text messages, names, addresses and phone numbers etc much easier to read. Websites can be easier to see and read, and also to navigate through. Size can, and does, matter. But the larger size needs to be balanced: will the larger phone fit comfortably in your pocket or purse? As much as I’m a fan of the larger phone sizes, I think that Huawei have gone a little bit too far here: this phone did not fit comfortably in my jeans pocket. While I wasn’t concerned about it breaking – build quality is excellent – I did get the feeling that it was digging into my not insubstantial girth, and that made it a little less comfortable when walking around, and especially when sitting. And there has to be more to a phone than just its size: the implementation and hardware must be right too. It’s a phone, and one therefore has a reasonable expectation that it should be able to make and receive phone calls. Therein lies a problem: where many phones today are coming in as 4G, this is just 3G. But that’s not the problem; rather, I found that when making or receiving calls, the people on the other end of the phone were spending their time asking me what it was that I was saying. For a phone, not being able to be clearly heard by the party on the other end of the line is a serious problem. Now, I don’t know if that was an issue with just the phone sample I was given, or whether it’s indicative of a more general problem, I don’t know, but that was certainly my experience. The Ascend Mate is an Android phone, but it seems to me that Huawei, being a budget manufacturer, have not taken the same effort to give their users the full richness of the whole Android experience. Apps that I have installed through my Google account (on other phones) were not automatically installed, as happens with some other Android phones. I could find no way to install widgets onto the home screen. Network connection parameters were not automatically imported into the phone’s settings. I even – for the first time in a very long time now – found an app where the app was not compatible with the device. And the phone is somewhat slow. When touching an icon on the screen, there was no immediate indication that the selected app was being loaded; it might have taken several seconds between touching the screen and loading and display of the app’s screen would have occurred. 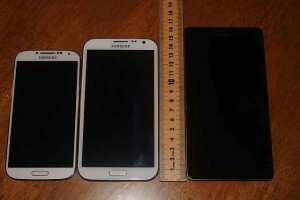 OK, so let’s get back to basics: this is a budget phone costing around half that of the Samsung Note 2. Is it fair to compare them with one another, based upon the pricing? I believe that it’s important to point out that, because of the size factor, many people will compare them, and so it’s very important that we highlight the pricing differential and that these two phones are very much targeted at different markets. If your looking at the Ascend Mate and expecting a cheaper version of the Note 2, then expect to be disappointed. But if you have realistic expectations, and understand that this is a budget phone in which some design and hardware compromises have been made, then you should not be disappointed: it is what it is.